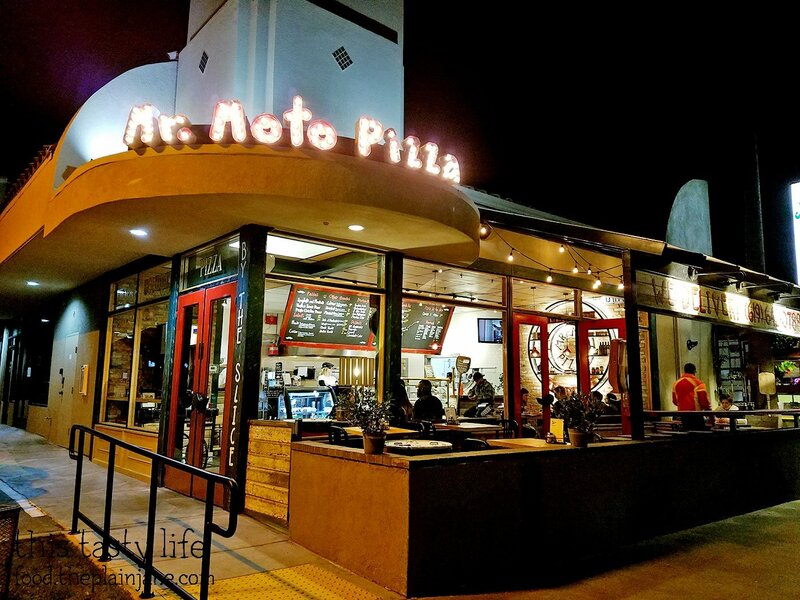 Mr. Moto Pizza just opened up their second location in North Park. The original location is in Pacific Beach. Jake and I visited twice in the past two weeks, both times before their grand opening on March 4th. 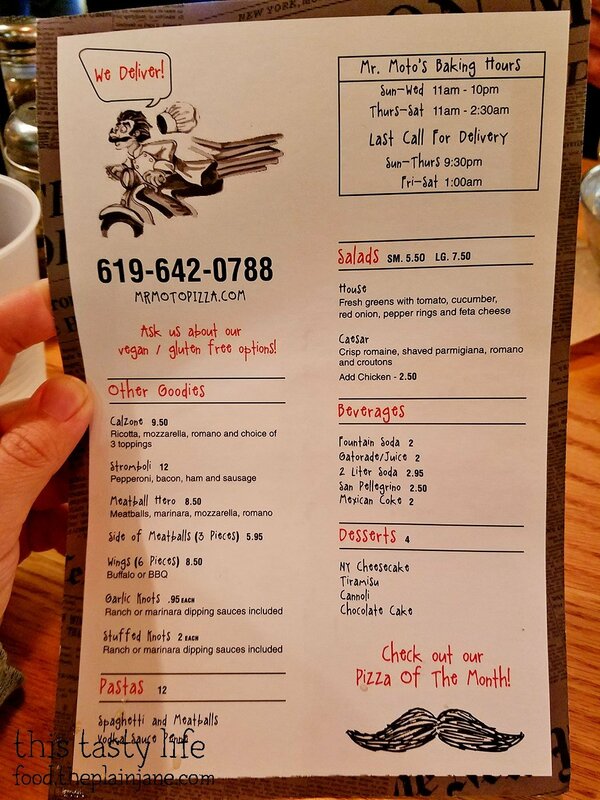 Let’s see what it’s all about at Mr. Moto Pizza! They’ve got indoor and outdoor seating so this is a dog-friendly place! We brought Maya with us the second time and she was a happy out and about girl. 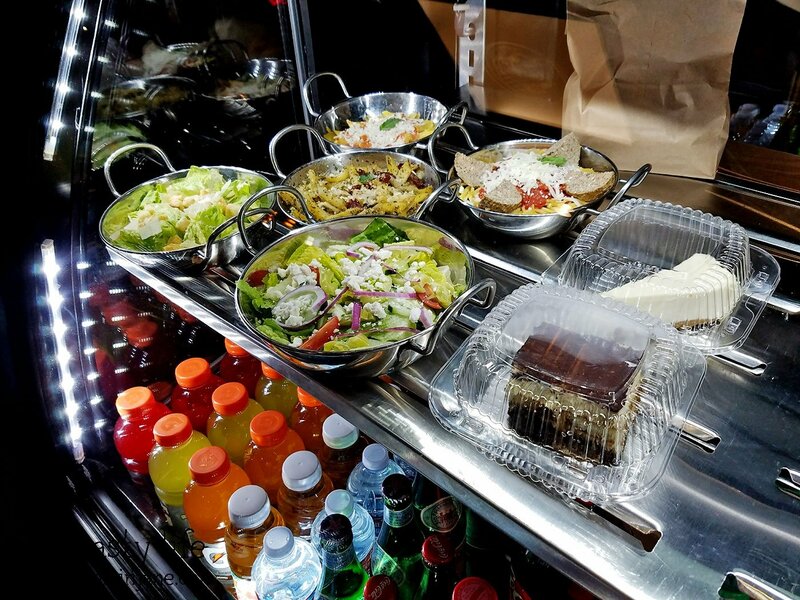 You can see their sample salads and desserts inside the front display case. On our first visit they had pretty much run out of slices. This was the only pizza they had left in the giant case! Mr. Moto Pizza was crazy busy on our first visit. The staff seemed like they were quite overwhelmed and the service was pretty “meh”. But they were much better on their second visit. Also less busy that second time around and much more well stocked with pizza slices. 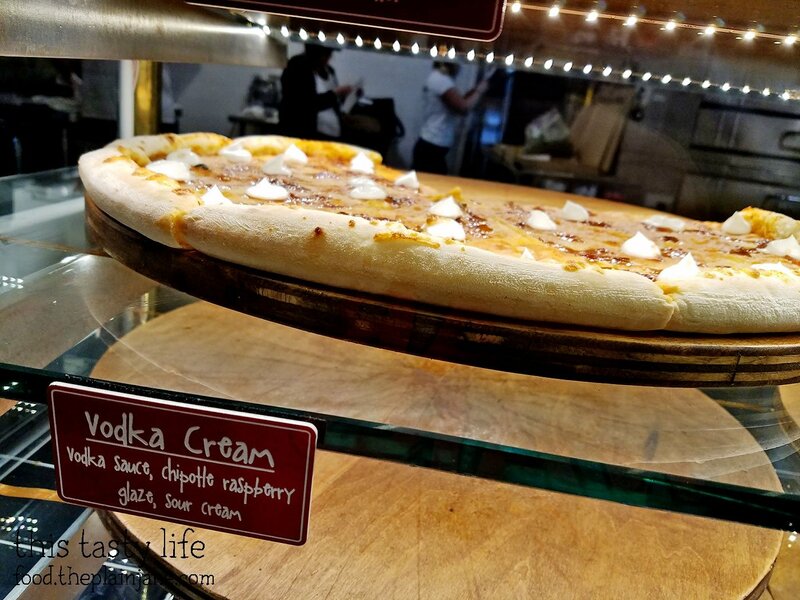 One of the first things we tried was a slice of their Vodka Cream Pizza [$3.50]. 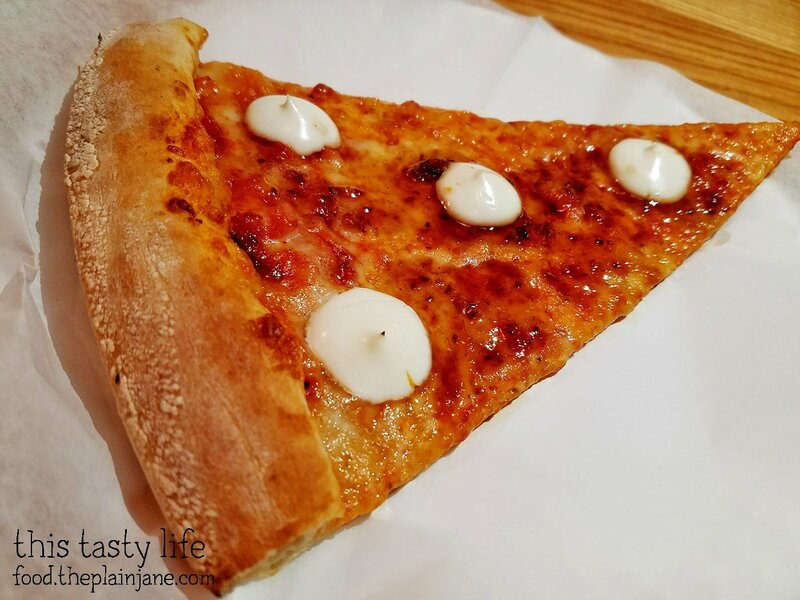 This slice has a sweet vodka sauce with chipotle raspberry glaze and dollops of sour cream on top. My tastebuds had no idea what to think of this flavor combination. There was sweetness, a hint of spice, tanginess, and an overall feeling of “what am I eating exactly?” Jake liked it because it was different, I wasn’t really digging it all that much. The crust was nice though. It was crisp, on the thin side, with a nice chew. Mr. Moto Pizza had ran out of their regular garlic knots and all they had left were the Stuffed Garlic Knots [$2]. 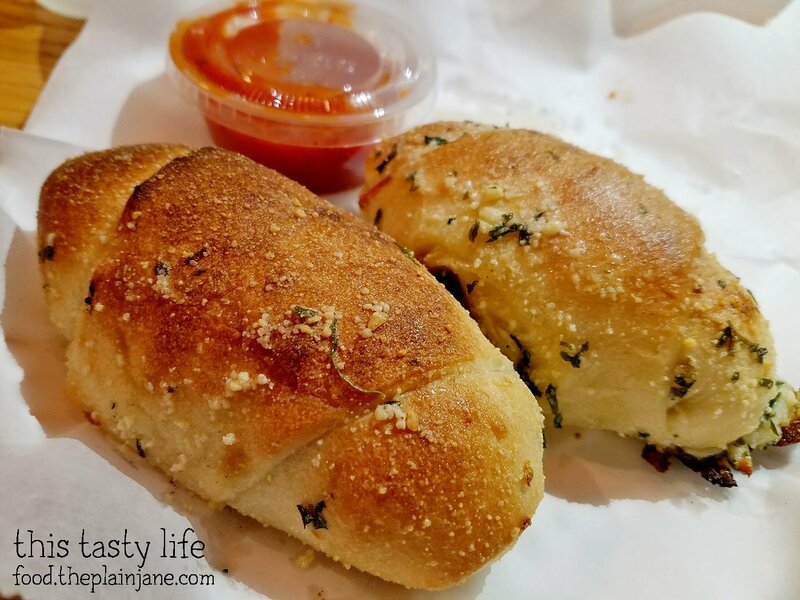 They have two kinds of stuffed garlic knots – one with pepperoni and jalapeno, or spinach and ricotta. 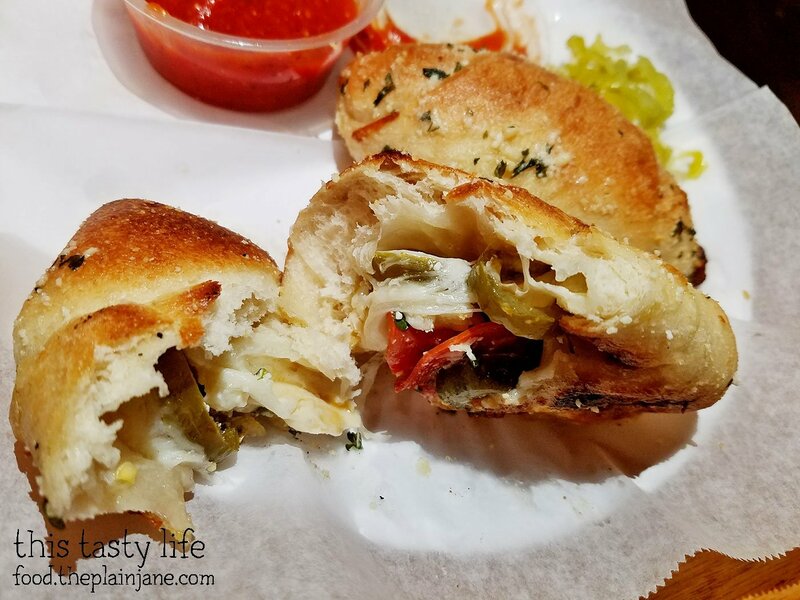 The bread has a garlic coating on the outside and inside the soft, warm, bread it’s stuffed with cheese, pepperoni, and jalapeno. Since I’m not a fan of pepperoni or jalapeno, I didn’t care for this garlic knot very much. I didn’t photograph the inside of the second one (with ricotta and spinach) but that one tasted much better to me. I liked the creamy ricotta with the soft bread. Neither one tasted particularly garlicky to me so I felt they were just okay. 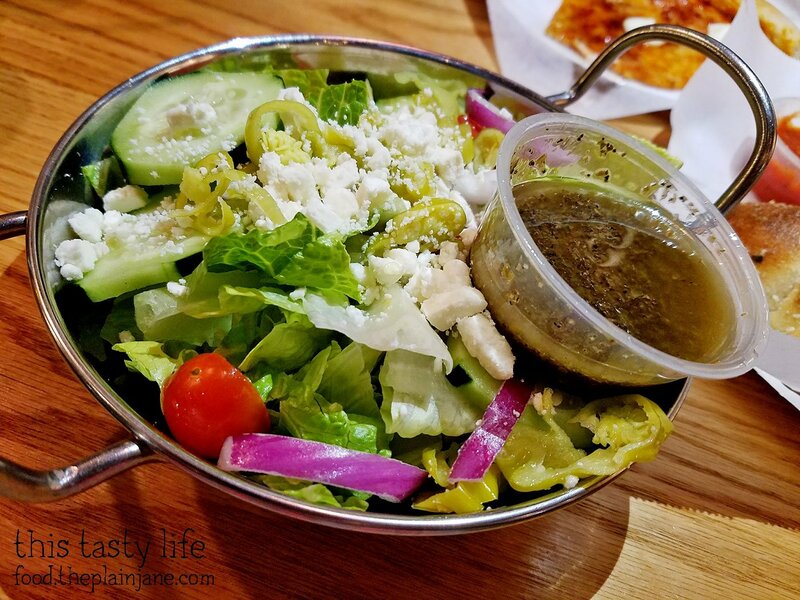 Jake and I shared a nice small House Salad [$5.50] which came with cucumbers, tomatoes, red onion, pepper rings, and feta cheese. The dressing was quite good; it tasted like a really herby Italian dressing. Jake and I decided to try Mr. Moto’s Calzone [$9.50] and split it between us. 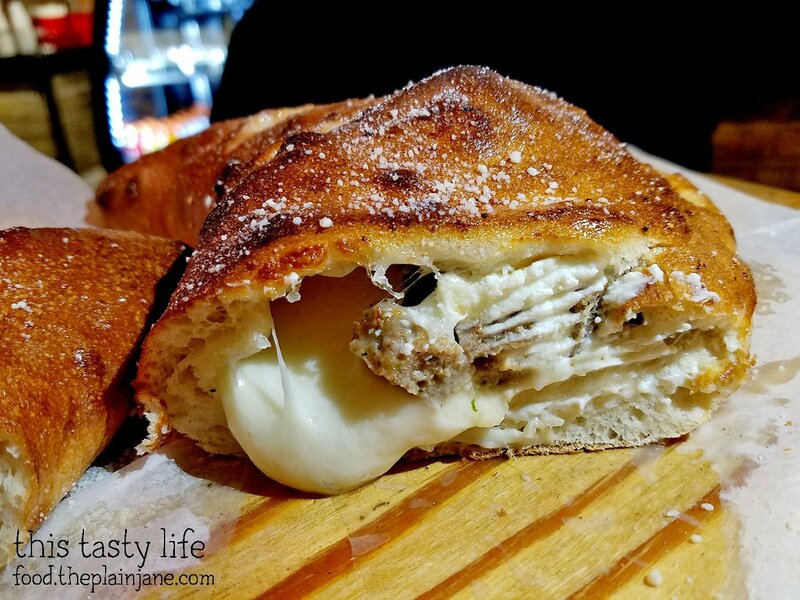 The calzone comes with ricotta, mozzarella, and romano cheeses. You get your choice of three toppings to add in. We went with meatball, garlic, and basil. 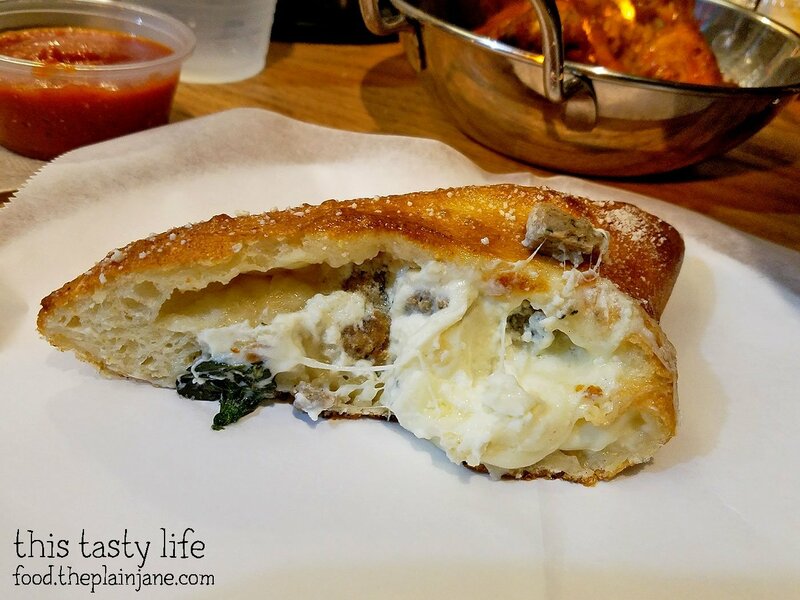 I liked that the calzone had the big slits on the top – you can see the cheese and meatballs peeking out! We were also quite surprised at how large this sucker was. It looks like a crescent moon! First thing I must say is that the cheese they use at Mr. Moto Pizza is EXCELLENT. The mozzarella was incredibly flavorful, the ricotta is creamy and a little sweet, and I know the romano is in there somewhere making the whole thing FABULOUS. The meatballs were juicy and cut into nice chunks. 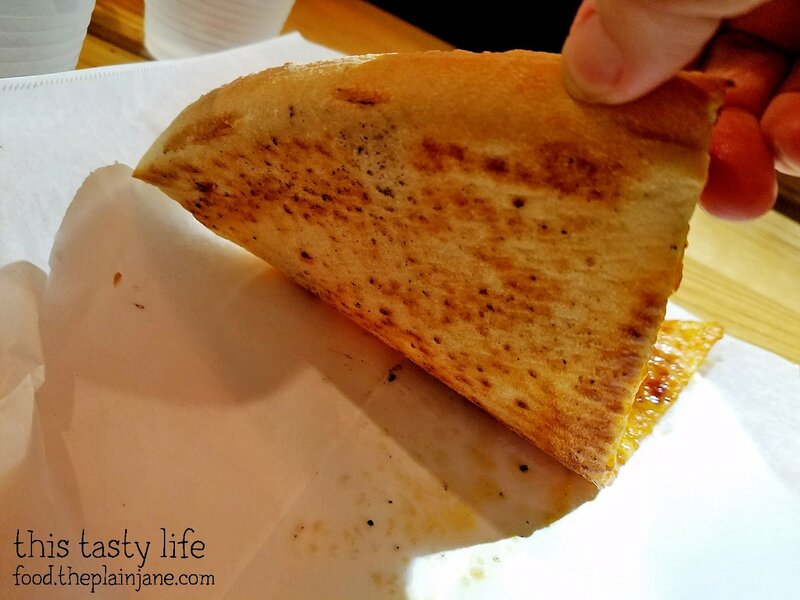 In parts of the calzone, you could see the whole leaves of basil that were used inside. The whole thing had a lovely garlic flavor that I adored. The crust was perfect – chewy, crisp, and delightful. Jake and I couldn’t get over how tasty this calzone was! The only downers was that the first time we went, the side of marinara was cold and they only have plastic silverware which makes it really hard to cut this thing open. 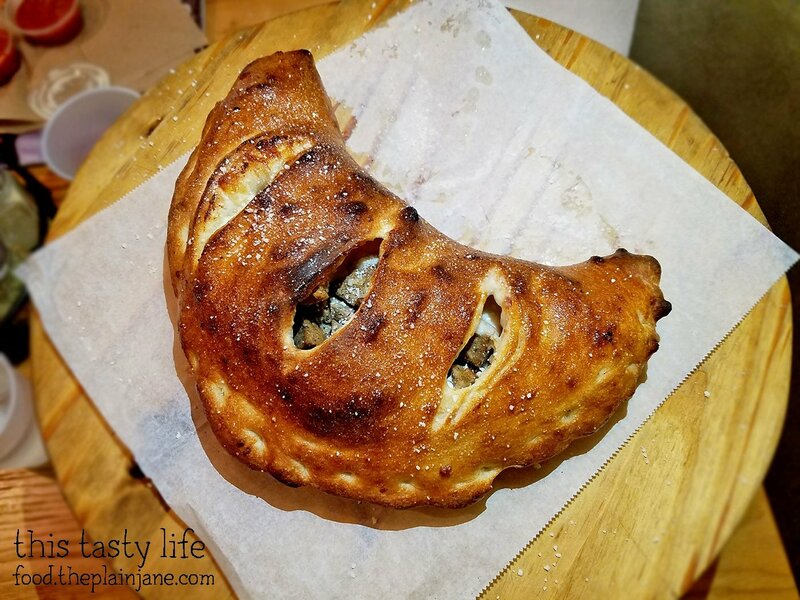 When Friday night rolled around again, I told Jake I was thinking about that calzone we had… and he had no objections to going again. This time I got us an order of Buffalo Wings [$8.50]. You get six wings in an order and it comes with a side of ranch. 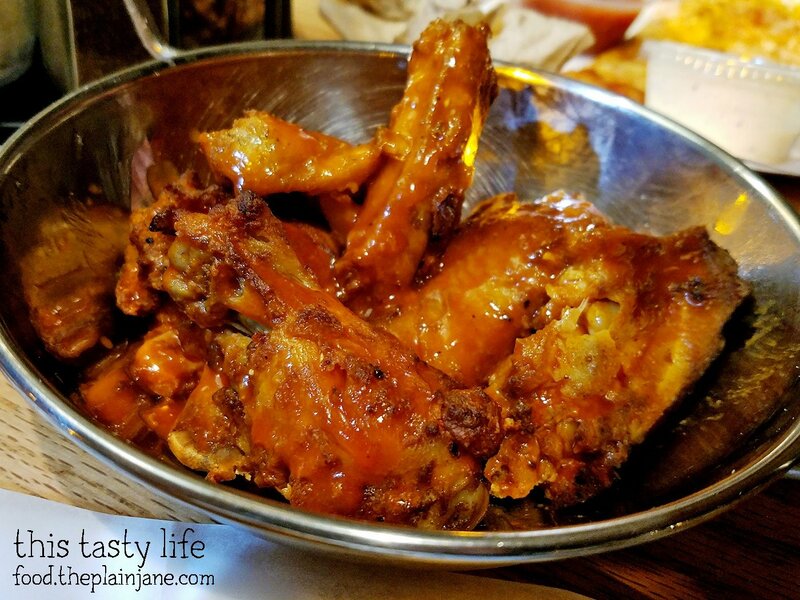 The wings were really falling off the bone. I kind of like being able to pull the meat off with my teeth so this was kind of odd to me. They wings were semi-crisp in places but overall I felt like these were a miss. 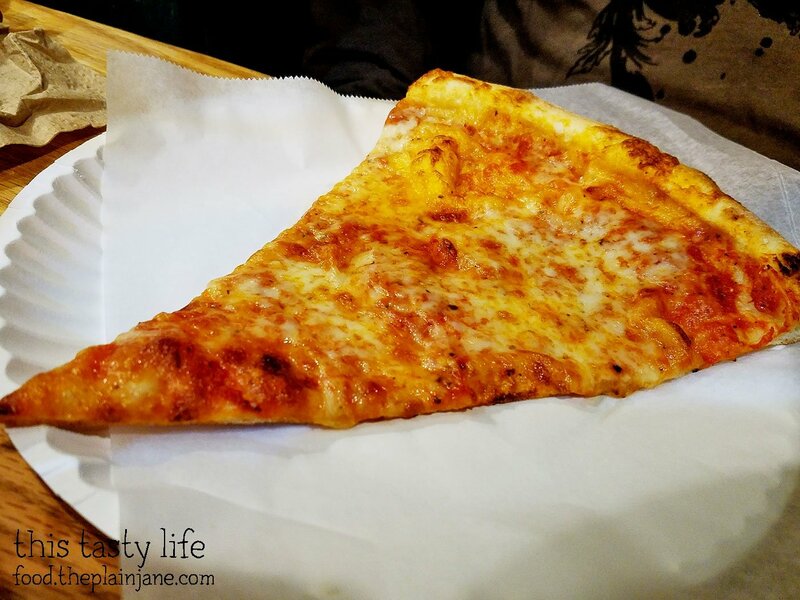 They had plenty of slices to choose from that day – well, they did until I got to the front when the lady in front of me took all of the slices that I had been interested in trying. Darn. Instead I got us a slice of Cheese Pizza [$3] to try out. This was a pretty fair slice but both us felt it needed a little bit more sauce on top. I like the crust on this one! 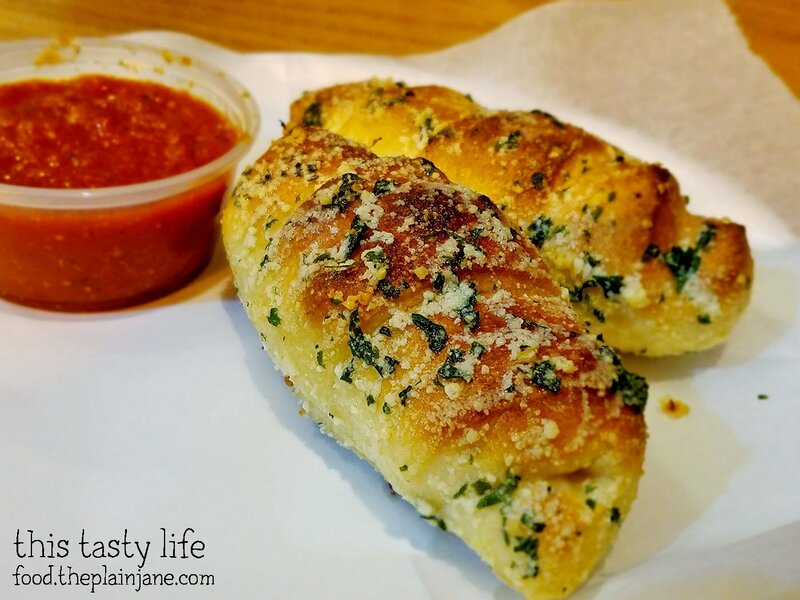 We were able to try the normal, unstuffed Garlic Knots [$0.95 each] on our second visit. The side of marinara sauce was warm this time which made me really happy! Despite there being a ton of stuff on top… for some reason I didn’t find this particularly garlicky? The bread was okay, I think it would have been nice for it to be a bit warmer but I just felt kind of underwhelmed by the garlic knots. Oh well. For the sake of testing out the consistency at Mr. Moto Pizza we totally ordered the exact same calzone as the week before. Meatball. Garlic. Basil. Boom. I am quite happy to report that the calzone tasted just as delicious as the week before! And the sides of marinara were warm this time so it was perfect! 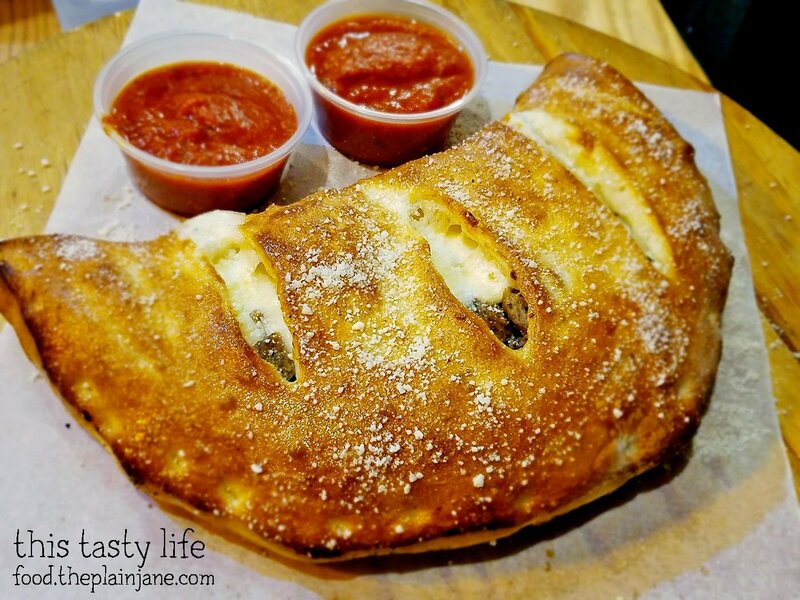 I think this may be our new “go-to” spot for our calzone cravings! Jake got us some desserts to try as well. You know, for research purposes. 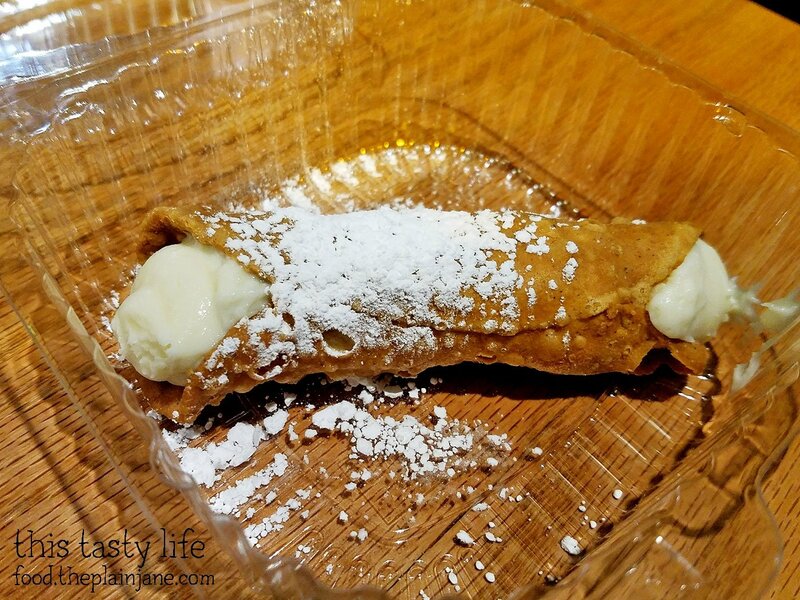 First we started out with the Cannoli [$4]. It wasn’t a bad cannoli. The shell was nice and crisp, the filling was sweet and creamy with bits of chocolate chips (which are hidden in the middle somewhere). Not my favorite cannoli, but not bad in a pinch. 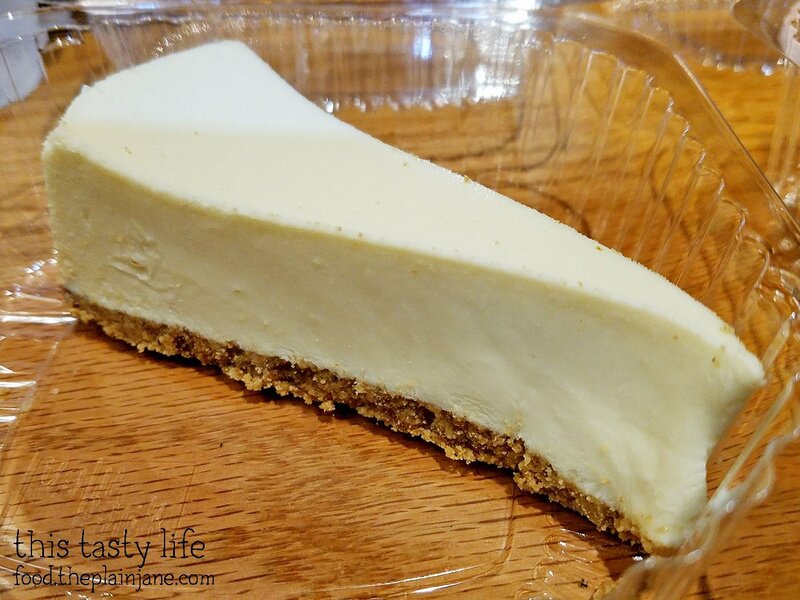 We also tried a slice of NY Cheesecake [$4] which had an odd aftertaste. The crust was a bit on the wetter side and I didn’t really enjoy the flavor of the cheesecake at all. I’d skip this one. 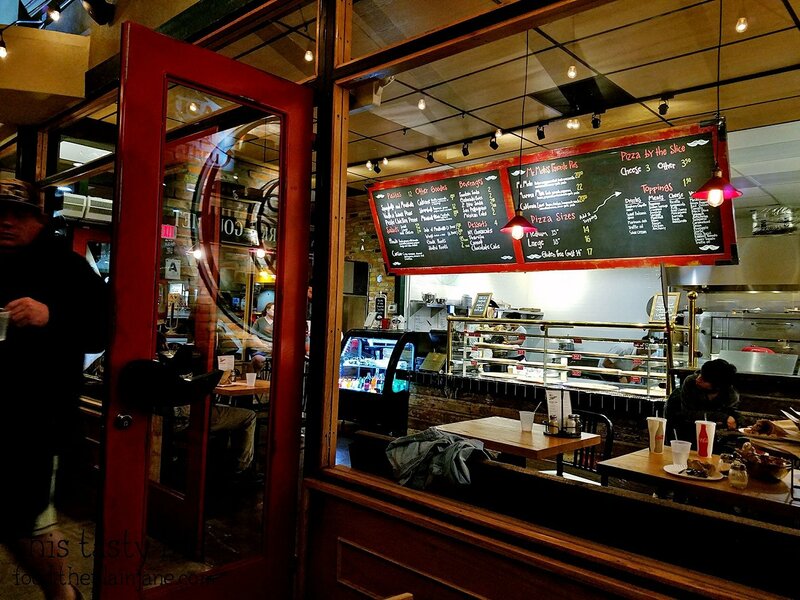 All in all we’ve enjoyed our visits to Mr. Moto Pizza. 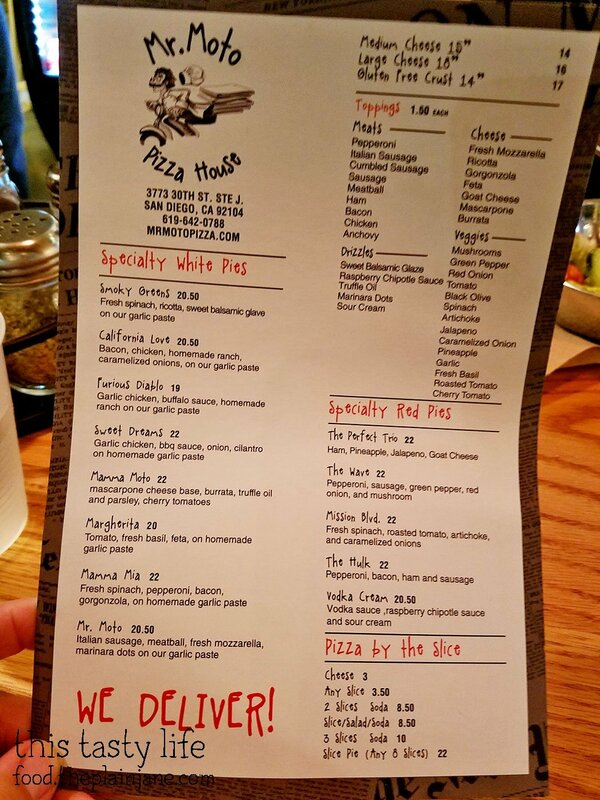 We’ll be back for more calzones, that’s for sure! Very nice! I was wondering about this place. I saw the signage a few months ago when we were at Subterranean Coffee across the street. This new restaurant used to be a thrift store (I bought some vintage cookbooks there) which didn’t last too long. The calzone looks great! That’s good you ordered it twice and it was good both times. Heh heh, “research purposes”. Hi CC – I was wondering what that spot used to be. Thanks for telling me! Research is very, very important you know. So is consistency! They even have their own parking lot and we were able to park in it both times. Woohoo!